WASHINGTON, June 28, 2013 - The status of the development of the national smart grid and its relationship to broadband buildouts was the center of discussion at the June 2013 Broadband Breakfast Club. The concept of smart grid is a marriage of intelligence and communications, said David Wollman, Deputy Director of the Smart Grid and Cyberphysical Systems Program Office in the Engineering Laboratory of the National Institute of Standards and Technology, in his keynote speech. He discussed NIST’s role in leading the development of smart grid interoperability standards and protocols, as well its charge to help develop a roadmap and advanced energy systems advancements toward a national smart grid rollout. Stemming from a Presidential Directive and the Energy Information and Sustainability Act of 2007, the Department of Energy is the lead smart grid office, the Federal Energy Regulatory Commission is the overall industry convener, and NIST was tasked with the role of smart grid standards, protocols and systems development, Wollman said. NIST is working to mesh standards and protocols for technologies already in place in the utility and telecom systems, as well as to develop new standards and protocols for interface in the home. Woolman also spoke about broadband fiber as a gateway to the home, replacing traditional electricity meters. 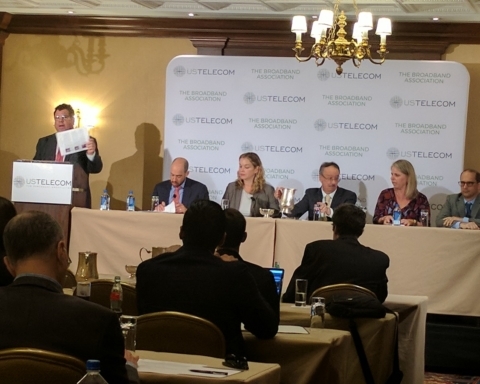 Consumers can be engaged to take advantage of the high-bandwidth capability that broadband offers through efforts like the Green Button Initiative. In it, utilities collect data on energy usage, consumption and performance on a continuous basis. Building managers can click and download the data. This could enable new services that account for energy usage patterns, such as home security systems. In the panel discussion that followed, John Hewa, Vice President of Technology and Research at the National Rural and Electric Cooperative Association, said that utility cooperatives are taking an active role in the smart grid rollout. Co-ops are already pushing beyond simple smart meters and addressing in-utility facility advancements toward energy conservation with regard to conductors, feeder switches and other technologies that interface, shape and reduce load. By contrast, James Salter, CEO of Atlantic Engineering, said utilities’ focus has been on wireless solutions for smart grid applications. That, he said, misses the key benefit: the ability to take advantage of changing consumer demand for energy. The current low cost of electricity disincentivizes companies, and consumers, to push for new “demand-response” applications concerning energy usage. Additionally, Hudgins highlighted a growing movement in Virginia to reject smart meters as privacy invasions. A recent before the Virginia General Assembly would have shifted the burden for consumers to “opt-in” to obtaining a smart meter, instead of “opting out” of receiving such a meter. Although the measure was defeated, Hudgins said the battle set back adoption of the smart grid. Malcolm Woolf, Vice President of Government Relations for Advanced Energy Economy, agreed that we are at the tip of the iceberg for both advanced energy and smart grid. The old utility-based model of centralized electricity generalization is under assault by a whole array of disruptive technologies, including demand response, distributive generation, electric vehicle charging, and many forms of consumer engagement providing an array of services. Woolf’s organization, Advanced Energy Economy, aims to bring players together to develop the disruptive technologies and that will drive the smart grid. 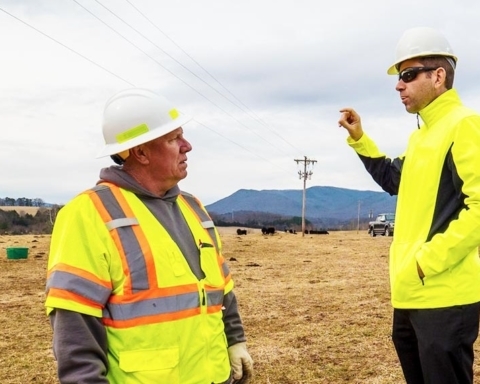 In describing his cooperative’s work on broadband build out, Hudgins described how Old Dominion has worked hard to turn around southern Virginia’s economic decline by effecting hundreds of millions of dollars in fiber-optics in the ground: that every school, community college, training center etc. has a fiber connection. That has helped to attract a Microsoft data center, among other businesses. Salter said that some municipalities have been able to amortize the cost of fiber build outs through electric system improvements. He noted that utilities’ investment – just to bring electricity to the home – is at $12,500 per home, versus the cost of a fiber build out of up to $2,500 per home. The savings that could be realized through cutting costs for electricity generation would pay for the cost of bringing fiber to ever home, said Salter. 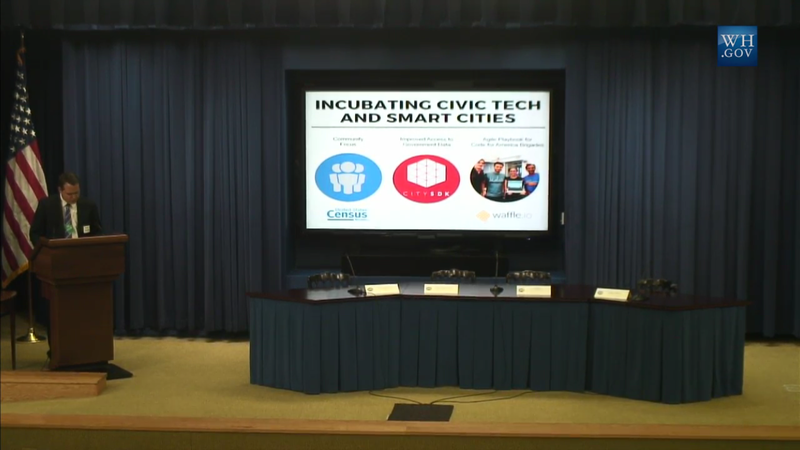 Woolf said that all of these issues and challenges show that we are in the early stages of this smart grid evolution. Although meters have been adopted quickly as a means of reducing response times in the case of outages, to truly capture the value of the smart grid, he said, real-time pricing will be necessary to incentivize consumers to conserve.